Richard Branson, founder of Virgin Group, announced on October 11, 2018, that business with Saudi Arabia halts, until the whereabouts of the missing Saudi journalist, Jamal Khashoggi, are made clear. In a blog post on Virgin Group's website, philanthropist and business magnet Branson, suspended both his directorships in Saudi Arabia’s mega "Red Sea tourism project". Branson wrote that the recent events have changed “the ability of any of us in the West to do business with the Saudi Government,” refering to the case of Khashoggi’s disapperance, which many believe that it is linked to Saudi Arabia. Branson, also the founder and chairman of space companies Virgin Galactic and Virgin Orbit, stated that Virgin is cutting ties with Saudi’s Public Investment Fund (PIF). According to Reuters, in 2017, PIF proposed investment in both space companies, and other huge ventures, with what exceeds $1 billion. In exchange, Virgin was to help Saudi Arabia create a “space-centric entertainment industry". Virgin Group is the first international investor in the Red Sea Project. 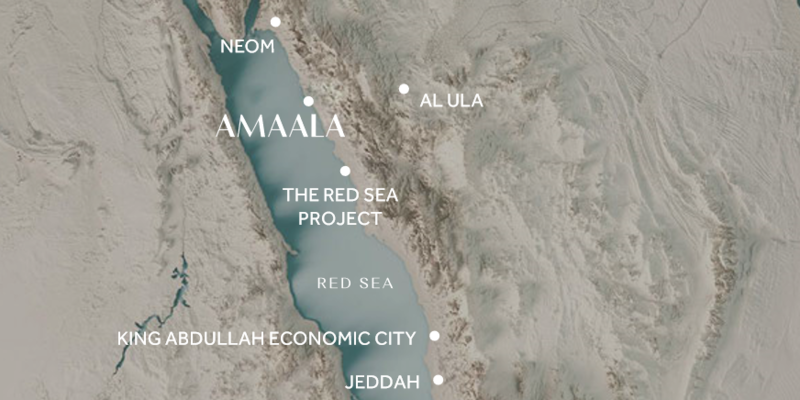 This project, along with the super-uber resort Amaala, and the mega future city NEOM, are a part of Saudi Arabia’s "Vision 2030" investment plan. Vision 2030 was announced by Crown Prince Mohammad bin Salman in 2016, which was described by many as an ambitious 'giga-projects' plan to revitalise the Kingdom. Saudi Arabia will move away from oil-dependancy and upgrade to the future with new technologies. Another part of Vision 2030, and for the first time in Saudi's history, is the ushering of a new social change. The change is already visible as Saudi women were finally allowed to drive cars, establish business without male guardian, and hold lectures in front of an audience of men. Moreover, women now can visit Saudi Arabia unaccompanied, cinemas are being launched, and the Arab Fashion Week hosted for the first time in the Kingdom. The Future Investment Initiative (FII) conference, a three-day affair which will be held in Riyadh, is scheduled to begin on October 23. According to its website, dozens of prominent international business executives will be speaking at the anticipated conference. However, following Branson’s move, a number of executives said they are also suspending their dealing with Saudi Arabia; out of concern for the missing journalist. Executives and Media outlets are boycotting the conference. The event trends as #DavosInTheDesert”.